Nkana in Kitwe was one of the key mining centres in Zambia since the 1930’s. Communities were created by this industry which brought great wealth of corporations and the economy but hardships for local communities. With the decline of copper, a new problem has emerged with illegal and small scale mining. Monitors in Nkana West, Kitwe have been following this development. Here are recent posts. 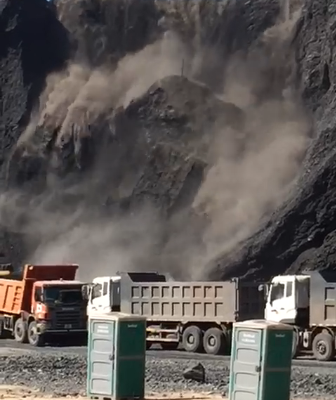 Barely 3 months after the government of Zambia granted the Copperbelt small scale miners popularly known as “Jerabos” permission to mine at the Nkana slag dump also known as Black Mountain, several houses in a nearby mine area called Nkana West have been destroyed. 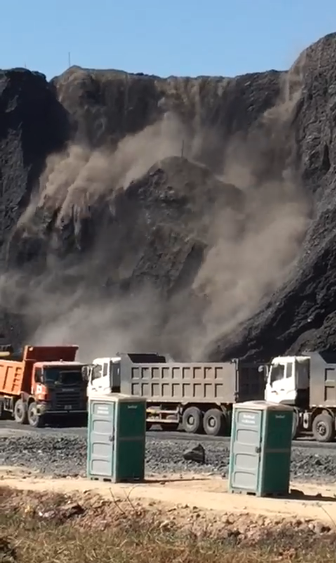 After the elections, there were number of court cases involving the Black Mountain between the Jerabos and mining companies that had legal rights. In 2017, the Kitwe high court granted the Jerabos permission to mine on the dump while they awaited for final court rulings. On February 19th 2018, the president met the Jerabos kingpin popularly known as Shimumbi and his counterpart Chile at state house and promised them to resolve the Black Mountain once and for all. 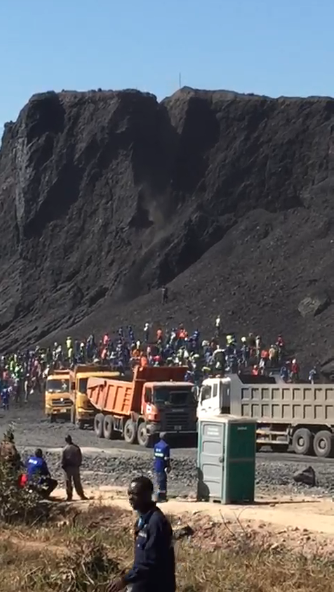 In keeping his promise the president ordered for immediate discontinuation of the case in court and on 27th February the mines and minerals minister in the company of the home affairs minister travelled to Kitwe to break the good news to the Jerabos that they were officially granted shares of up to 20% in the Black Mountain. This news led to jubilation and freshly pledged allegiance to the ruling party. Despite the numerous health and environmental hazards that the dump come with, the area is now under the mercy of a fearsome gang that has power enough to even manipulate a large governing system. Our office close to the site had windows broken. It is a sorry situaton. The office is less than 200m away from the dump site. The office belongs to Ecoview. We had people in the office at the time the incident happened. We were not given any notice prior to the blasting.No information was given at the time of blasting. We have a number of windows broken. We have also noted some cracks on the building. It should be noted that that this is a residential area.At the time of blasting We noted children around. After the blast, we had a lot of dust and fumes. I am not sure of the health repercussions this may have especially on the children. The mine dump was created from the tailing which came from Nkana smelter which was commissioned in 1931 by the Anglo American Corporation of South Africa. The environmental hazards are that tailing contains large amounts of pyrite and iron which are reactive towards air. With the current activities taking place at the dump, a lot of waste copper particles are being blown in the air and people who live in the nearby compound like Wusakile are likely to suffer the most. Wusakile is a township that was built for, African mine workers and currently has serious water and sanitation issues. Pollution from black mountain is likely to affect the already poor peoples health who also have the largest rubbish dump of Kitwe very nearby.